Recently, I stumbled across an interesting article called What My Nanny Left Me written by Ross Kenneth Urken. 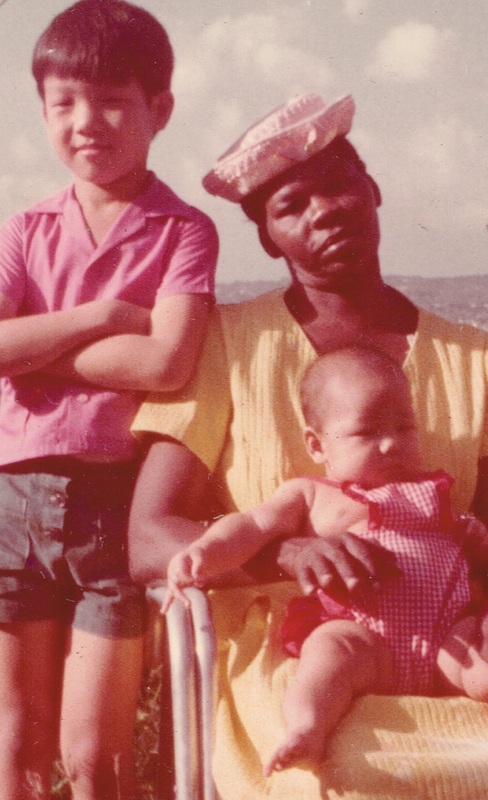 In this tribute to his Jamaican nanny, Urken spoke of the impact of this lovely woman on his life, and the part she played in his formative years, leaving him with cherished memories, an enduring love for her, and … her Jamaican accent. This reminded me of my own beloved “Nursy”, a woman who dedicated years of her life to help raise me and my brother. It seems she was determined not to leave me again, as she remained with us through three moves, even when we left Montego Bay for Morant Bay at the far end of the island, 250 km from her own home in Savanna-la-mar. I remember that on Thursdays, my parents would close the store early to go to Kingston to purchase goods. On those days, Nursy cooked me pumpkin soup with boiled dumplings. Then I would sit in her room, watching her mend’ frocks’, on the old sewing machine, pumping the foot pedal as she worked. My brother, Nursy and me. Sometimes, she made me read passages to her from the Bible, as reading strained her eyes, and it was she who made me memorize the names of all the books of the Bible, in chronological order. If my parents were late in returning home, I would fall asleep in her bed as she sang church hymns to me. I still remember the songs she loved – Amazing Grace, and Swing Low, Sweet Chariot. It was she who introduced me to Anansi stories, relating them to me while she washed clothes in a huge round aluminium tub in the yard. I barely remember the stories, but the thing I do recall with great clarity, is the loud squeaking sound that the clothing made, as she held them with both hands, rubbing the soapy material between her fists. Not until I was grown, and tried to reproduce the sound did I realize that I ought to have made her teach me her methods. She was the only person in the world who called me, as if it were my name, ” A lady”, because that was what I was going to grow up to be, and my brother she called “A Man.” I remember the first time she telephoned my house and said to my poor husband “Mek mi speak to A lady”. I don’t quite know how he ever figured out that I was the person she meant. In truth, Nursy was a terrible housekeeper, and she smoked, although always outside, and never around us children. It was a habit my mother detested. Mom complained that she did not keep the house clean, insisted on washing everything with way too much bleach, and ironed pleats into all the wrong places. But she had two enduring qualities. Firstly, she was scrupulously honest. More than a few times would we come across errant dollar bills of various denominations laid out to dry – sometimes large amounts of money that had been forgotten in someone’s pockets. And secondly, she loved my brother and me unreservedly. These two qualities were enough for my parents to keep her in their employ after we had outgrown the need for a nanny, and even after we had gone abroad for our various educational pursuits. 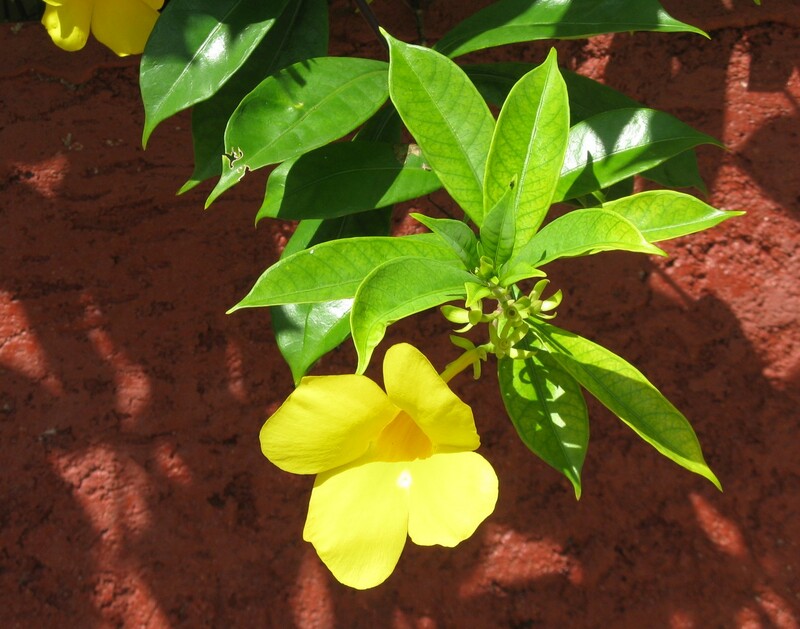 Finally, when I was eighteen, and attending school in Canada, mom and dad made their final move to Mandeville, and Nursy decided to return to her home in Sav-la-mar. I did stay in touch with her over the years, sending her news and photos of my own children. Whenever I called or visited, they would tell her “Is yuh Chiney daughter”. The last time I spoke to her, she was being cared for by one of her nieces. Nursy was no longer able to speak, but I was told that she smiled at the sound of my voice, and that she kept the photos of my children in her Bible, often taking them out to look at them. She passed away a week later at the age of 90. When I came across Urken’s memoir on his Jamaican nanny, it took me on my own trip down memory lane, reminding me of this woman whom I loved. The thing that delighted me the most about his story, was the strength of the impact of the Jamaican culture on his character through this one woman. So beloved was she, that he adopted her accent and the bits and pieces of her culture that she taught him, as a way to identify with her. It is a tangible sign of his love for her. My father taught me patience, gentleness, forgiveness, and long division. My mother taught me that studying hard is the key to success. Nursy could not help me with my homework, and she gave me no great advice or words of wisdom to live by. All she did was love me, and there is no prerequisite for that. It was enough. 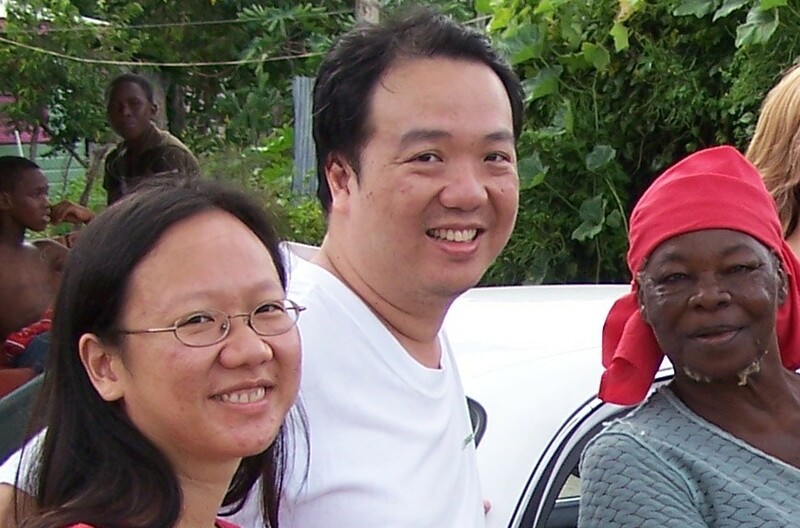 Now, when I think of her, I know that she is in heaven singing Amazing Grace with the saints, and watching lovingly over her children – including the Chiney ones. Posted on June 24, 2014, in Blog Posts and tagged jamaican nanny. Bookmark the permalink. 7 Comments. Thank you. I appreciate the comments. Loved it and so reminded me of our Nannies (I think we had 2… 1 for a long time) and will never forget them for their wonderful love, influence, laughter and dedication. It was a way of life for so many and we loved them and their families in return. When they were sick, we took care of them too and remember one of my Aunties nursed their family nanny right up to her death in the 90’s (that was in Brownstown). We lived in Devon, Mandeville and finally Kingston. A way of life never to be seen again. Made no difference what color you were, what “race” you were, because as it says about Jamaica “Out of many, ONE people”. Jamaicans used to really care about each other. This story moved me so much. It made me long for a Jamaica that is now only in my heart and memory! So happy that you enjoyed it.